This July one of the British Isles’ best known Gospel bands will be touring the United States performing in churches across North Carolina, Georgia, Alabama and Tennessee. Live Issue will also be hosting a special tribute concert in Winston-Salem to celebrate the life, music and faith of the late George Hamilton IV. A native of Winston-Salem, George Hamilton IV was a member of the Grand Ole Opry and known worldwide as the “International Ambassador of Country Music” – as he shared American country music around the world. His death in September 2014 left a void that can’t be filled. To honor and remember his legacy, Live Issue will begin their U.S. Tour with a special concert at Fries Memorial Moravian Church in Winston-Salem, NC. George Hamilton IV was a lifelong member of Fries Memorial Moravian Church. The concert will be held on Friday July 10, 2015 at 7:00 PM. Admission is free. Contact Fries Memorial Moravian Church for more information (336) 722-2847 or frieschurch@gmail.com. Since Live Issue reformed back in 2006, the band’s unique style of music and ministry has reached a whole new generation across Ireland, the United Kingdom and America. In that time Live Issue has released four albums, produced a DVD entitled “Life and Music” recorded live at Revelation TV in London, undertaken three very successful tours of the United States, including appearances on the Grand Ole Opry in Nashville and had the opportunity to record with many of the top American artists of Country and Gospel music. In February 2012, the group was invited to perform at the “International Festival of Country Music” held in the Odyssey Arena in Belfast. During this event Live Issue had the opportunity to share the stage with artists such as Reba McEntire and Ricky Skaggs. Live Issue literally made history in Nashville by becoming the first group from Ireland, and only the second group from the British Isles, to perform on the stage of the Grand Ole Opry. In July 2013 the group returned to Nashville to honour further invitations to sing at events in Opryland as part of their US tour which also included concerts in Georgia, Tennessee, North Carolina and Alabama. 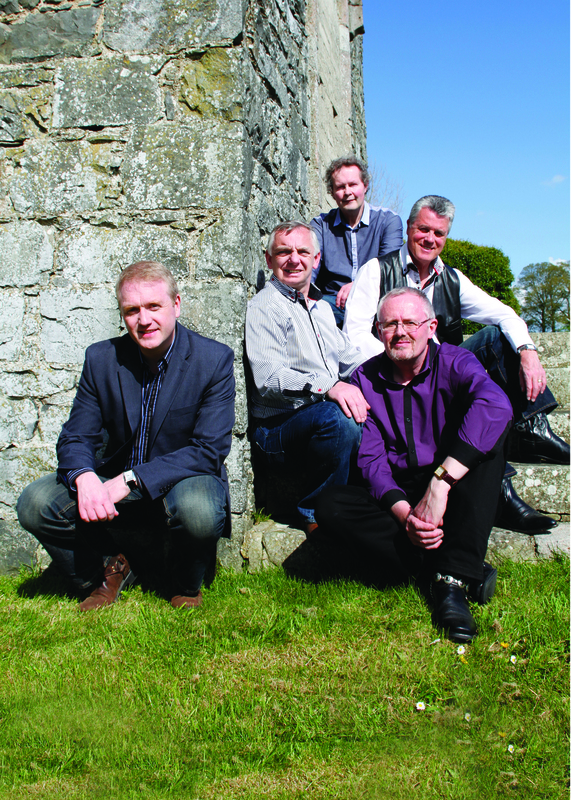 The LaGrange Daily News in Georgia remarked, “The members of Live Issue have become ambassadors not only for Country Gospel Music, but also for their Christian faith and everything that is good about Northern Ireland.” The members of the group are very much looking forward to returning to the United States this summer and having the opportunity once again to share both their music and their Christian faith. Live Issue comprises of Colin Elliott, Roy Dreaning, Sam Armstrong, Carl Sands and Ivan McLernon. Although the group still plays at many events in Northern Ireland, they are also regularly found performing at concerts and conventions throughout the British Isles and Europe. Live Issue has shared the stage with many Country music legends and their live performances in Nashville have been broadcast across the world on WSM Radio and Music City Television. ‘New Christian Music’ named Live Issue as “Artist of the Year” for four consecutive years in the Country Gospel category and in 2014 the group was awarded “Country Band of the Year” in the Northern Ireland Gospel Music Awards. In 2010 Colin Elliott, with the assistance of his colleagues in Live Issue, produced a ‘duets’ album entitled, “Old Fashioned Hymns and Gospel Songs for Those Who Miss Them!” with the late George Hamilton IV. The double CD featured many of the stars from the Grand Ole Opry such as Charley Pride, Ricky Skaggs, Marty Stuart, George Beverly Shea, Pat Boone, Charlie Louvin and Connie Smith. The album was released in Nashville at the Grand Ole Opry and in February 2011 it was nominated for a Dove Award, which is the highest accolade in Gospel Music. Live Issue is considered by many to be one of the most popular Country Gospel groups in the British Isles, not only for their musical and singing ability but also for their warmth, humility, sense of humor and love for the Lord. This is clear both in their music and to anyone who has had the opportunity to see the group play live. Each August one of the group members, Roy Dreaning, organises ‘Gospel Fest’ which is a weekend of Gospel music that takes place on his land. With over a thousand people attending each night, the event has attracted visitors from all over the UK, Ireland and Europe. Probably one of the most amazing facts about the members of Live Issue is that they all have day jobs and families which undoubtedly requires some skillful time management in order to fulfill all their commitments and responsibilities throughout the year. The members of the group also see their role in Live Issue as a ministry and therefore any proceeds or expenses the group receive are ploughed straight back into keeping Live Issue on the road. It is clear when you both watch and listen to Live Issue just how much the members of the group love their music, yet more importantly the band believes that the message behind the songs is the most important aspect of their concerts. The group members take their ministry and faith very seriously and believe that God has given them important opportunities to spread the Gospel through their music.